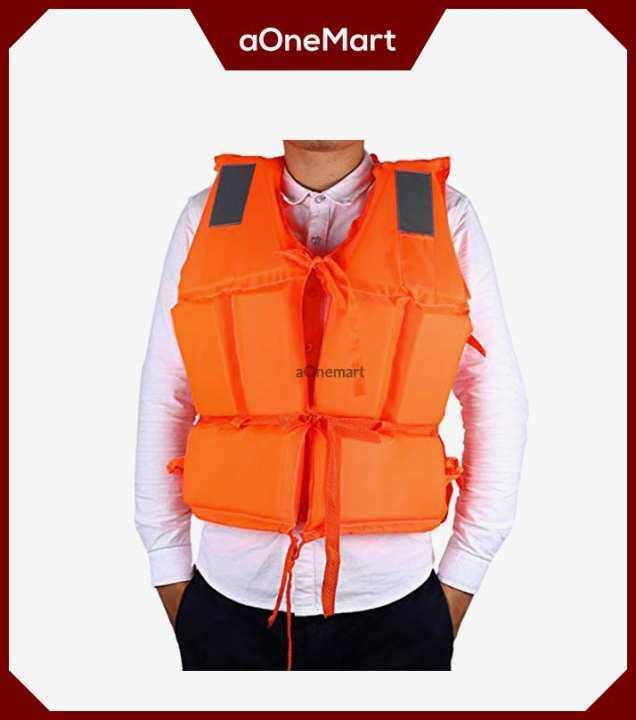 Swimming life jacket made of red parachute fabric with whistle pocket two reflective patches in front adjustable size.Whatever age a child or adult first goes in the water, they want to feel safe and secure. That's what makes our swim jackets perfect for introducing the wearer to the joys of swimming and having fun in this environment. Made from neoprene fabric, they provide warmth, comfort and a feeling of security, while the bright yellow back provides high visibility for parents.